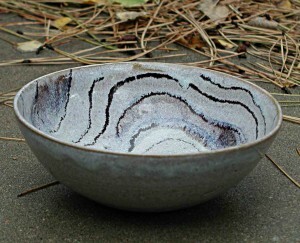 An assortment of canteens – wood or ceramic, torus-shaped or round – now at Boulder Street Gallery (through March). 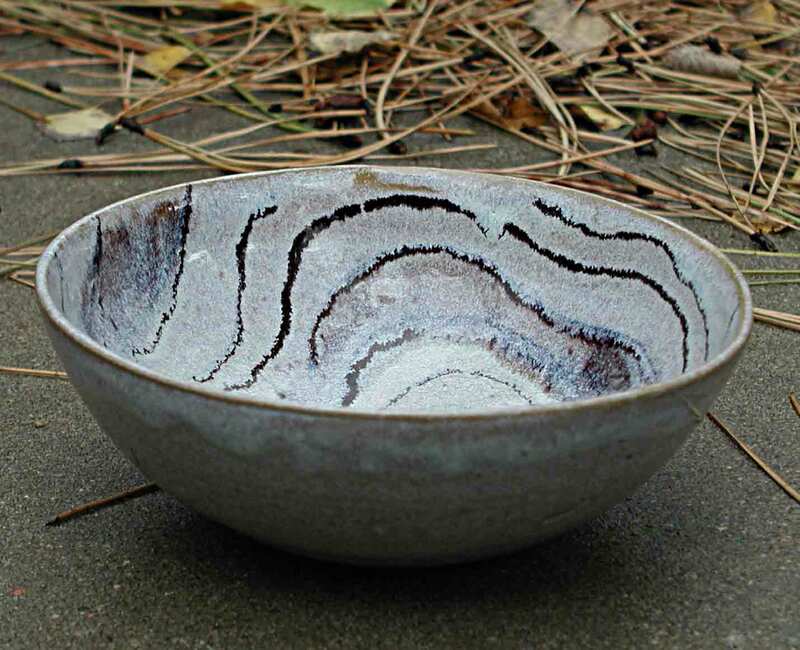 The ceramic torus canteens commemorate the ‘pilgrim flask’ which was a traditional pottery product. 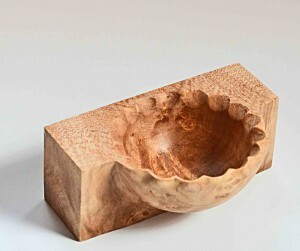 There are several also turned from wood, just to explore this form in a different medium. Most of them here are 2-axis turned canteens with at least one medallion to cover the hole used to hollow it out. There is one medallion turned from pewter, and several others with wood medallions turned, textured, with color, gilders’ paste, or pyrography. Two of them are ‘faux’ canteens with beer-bottle openers on one side. 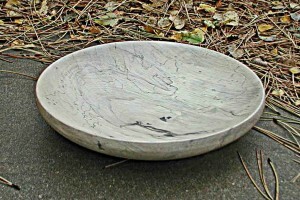 I work in textiles, wood, and clay, so sometimes it takes me a while to see a body of work in my efforts. This week I gathered up all of the canteen projects I had left over. 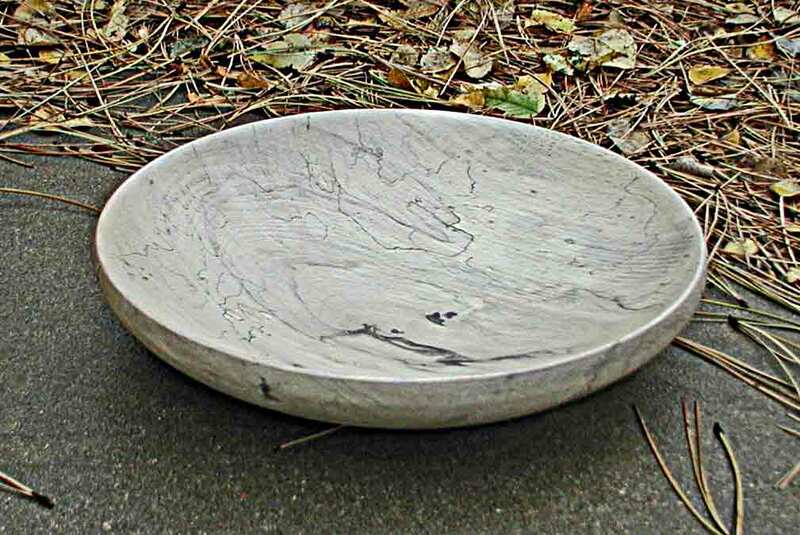 The earliest ones were the ceramic donut shapes, followed by wooden donuts (torus is the technical term), the Roman canteens that Dennis teaches, and then two beer bottle openers disguised as canteens. The ones with medallions are a great opportunity to use different kinds of textures, pyrography, color, metallic patinas, and even pewter. I have a feeling that there are a lot of options that I have left to explore. 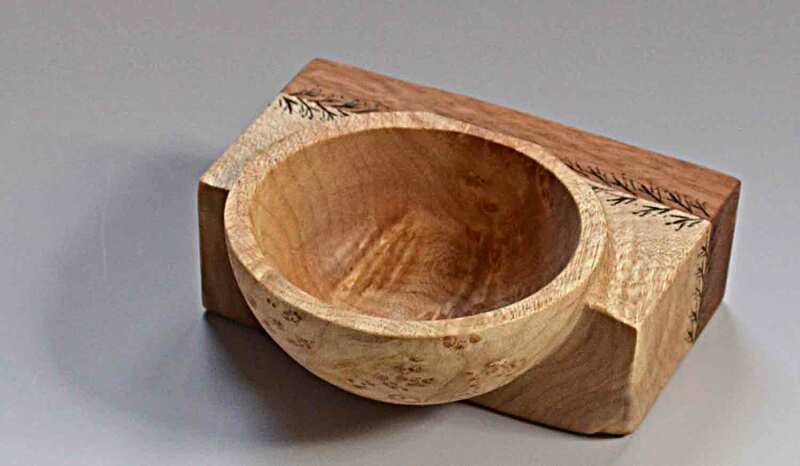 These two small maple bowls have not quite escaped from the chunk of wood that is their origin. 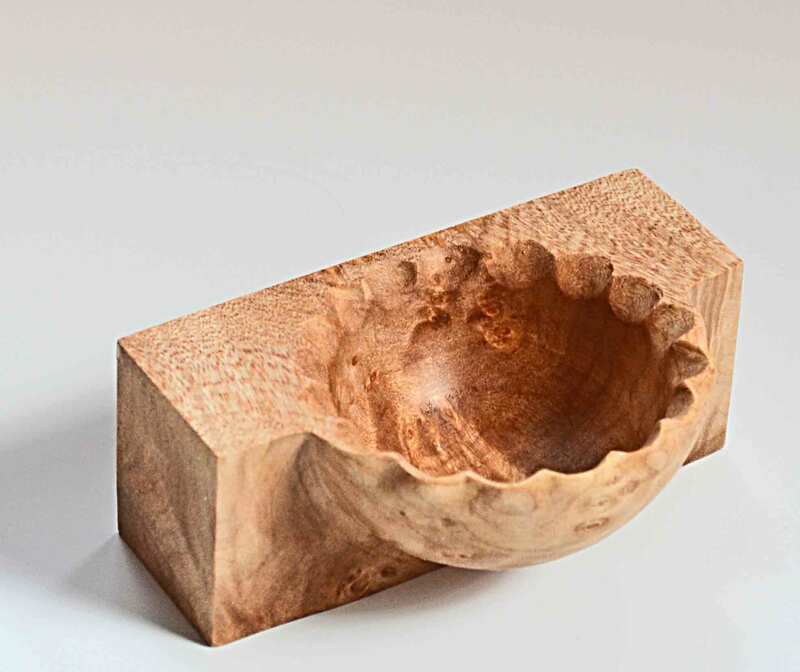 As with many shapes made on the lathe, there are some additional pieces that were needed to make them, but never appear in the finished product. Some of the magic of the craft comes from what you don’t see. Both are about 4″ on the long side.